Officer Marcus Clark and new CPD police dog, Bane. Photo courtesy of Columbus police. Columbus Police Department has a third police dog on the force now. Bane, a two-year-old German Shepherd born in Poland is working with his handler, Officer Marcus Clark. The two recently finished a six week training program in North Carolina. Bane is trained both to search for drugs and to arrest suspects. In only their first two days on the street Bane and Clark have already participated in nine drug arrests. 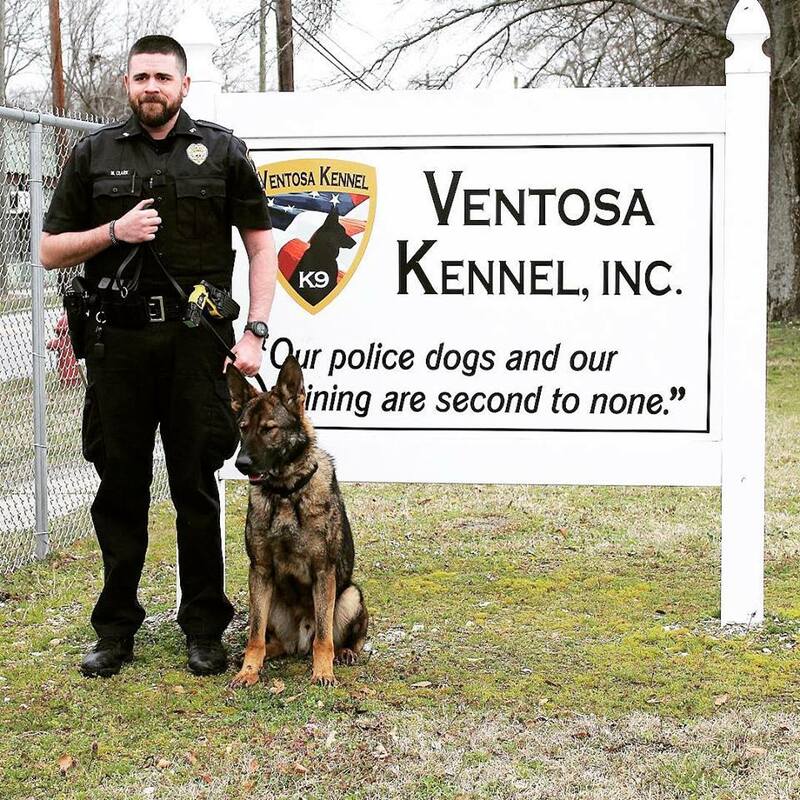 Bane replaces retired police dog Max. The Columbus police also have dogs Argo and Oxs.